Rather than trying to cure someone who is terminally ill, hospice works to ease physical pain and make the patient comfortable so they can enjoy the last days or months with family and friends, ideally at home. Hospice arose from the idea that dying people shouldn’t have to suffer in their last days or months, either from medical care that may be unnecessary or from being alone in a hospital. In hospice, the terminally ill receive comfort through drugs that can ease physical pain and through emotional support from a hospice team working with the patient’s family and friends, ideally at home. At one time, the medical world treated dying as a medical condition, rather than a time for a dying person to let go, say goodbye to family and friends, and make peace with themselves and the world. The hospice movement began with a British doctor, Cicely Saunders, who advocated pain management for the dying. Up to that point, doctors didn’t want to give pain-killing drugs to terminally ill patients because of unfounded fears of addiction. She “insisted that dying people needed dignity, compassion and respect,” and “abolished the prevailing ethic that patients should be cured, that those who could not be cured were a sign of failure and that it was acceptable and even desirable to lie to them about their prognosis” (the BMJ). In 1967 Saunders founded St. Christopher’s Hospice in London. Does Medicare certify this hospice program? Medicare-certified programs have to meet at least minimum requirements for patient care and management. If your state requires it, is the program licensed? You can check with your state health department to find out. Does the hospice agency have written statements outlining services, eligibility rules, costs and payment procedures, employee job descriptions and malpractice and liability insurance? How many years has the agency been serving your community? Can the agency give you professional references? Does the hospice create a care plan for each new patient? Is the plan carefully and professionally developed with input from you and your family? Are there references on file for home care staff? Ask how many references the agency requires for each staff member who gives home care (two or more should be required). How does the hospice handle payment and billing? Get all financial arrangements – costs, payment procedures, and billing – in writing. Does the agency have a 24-hour telephone number you can call when you have questions or problems? How does the hospice respond to calls? During your first visit, talk about all of the treatments, such as dialysis or blood transfusions, that you are currently getting and that you want to continue. Hospice care came to the United States in 1974, in Connecticut, and started expanding in the 1980s, especially when Medicare recognized hospice’s value and cost savings and therefore started paying for hospice care. By 2000, more than 3,000 hospices and palliative care programs were serving the needs of the dying and sick. Today, the medical industry fully accepts hospice and palliative care principles, and hospice is an official medical subspecialty. 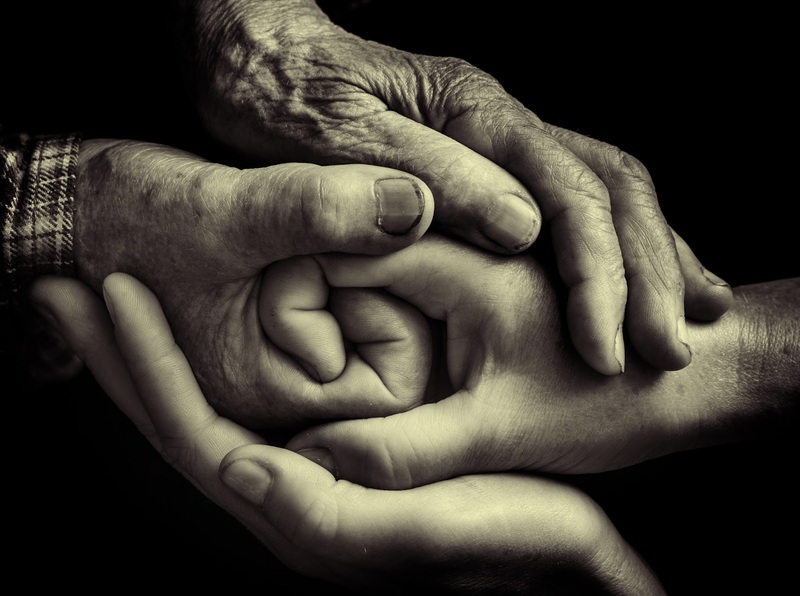 In fact, studies have shown that hospice care can save healthcare costs by reducing aggressive medical interventions. One study showed that hospice can significantly lower hospitalization rates, intensive care unit admissions and invasive procedures for cancer patients (“Hospice Care Lowers Cost and ICU Use in Cancer Patients,” Nov. 11, 2014, Medscape). One of the biggest misconceptions about hospice is that end-of-life care is only provided in an institution. However, most people get hospice care at home and thus are able to spend their last days with family and friends rather than in an institutional setting. Hospice care is also offered in nursing homes and other senior living facilities as well as hospitals. Hospice care usually starts when your physician tells you that medical treatment can no longer help you, and you have six months or less to live. Hospice treatment helps relieve disease-related symptoms but does not cure the disease, although many people improve under hospice care and may even “graduate” for a period of time. Its main purpose is to improve your quality of life. First, you need to find hospice care. Many larger communities have more than one organization. (See sidebar for how to find one.) Most home health agencies, as well as independently owned hospice programs, offer home hospice services. Some states, such as Kentucky, restrict a hospice agency to a certain county. The hospice organization sets up a team that will develop a plan for pain management and symptom control 24 hours a day, seven days a week. That includes the patient’s caregiver(s), personal physician, hospice physician (or medical director), nurses, home health aides, social workers, clergy or other counselors and trained volunteers. Sets up spiritual care to meet the patient’s needs, including helping the dying person with how to say good-bye or with coordinating a religious ceremony or ritual. Volunteers are a large part of hospice and can help the caregiver by visiting the patient, reading, taking walks, writing letters, sharing music, supervising visits with pets, shopping or doing household chores. They give family caregivers the opportunity to get some time away from the home. Hospice care is a form of palliative care that usually takes place in the dying person’s home, while what is often called palliative care, which is centered around reducing pain, is provided in hospitals or medical settings. Both hospice and palliative care patients receive a combination of medications, daily care, bereavement counseling and symptom treatment through a single program. However, hospice care is usually limited to those who are likely to die within six months, while patients can receive palliative care at any time and at any stage of illness, whether terminal or not. While hospice care focuses on providing comfort rather than life-prolonging treatment, palliative care offers both. Recently, however, Medicare announced a new pilot program that will blend hospice care with medical treatments such as chemotherapy or hospitalization. “The test program is based on research that shows that patients with access to both so-called palliative care and traditional medicine often end up with a better quality of life and less expensive, intense medical treatment. The approach may even offer the patients a longer life span than those treated with traditional medicine alone” (“Medicare to Try a Blend of Hospice Care and Treatment,” July 22, 2015, New York Times). Medicare (and the Department of Veterans Affairs and Medicaid, in most states) covers hospice programs, while regular medical insurance often covers palliative care, because it’s provided in a hospital or other medical settings. Hospice Provides Emotional Comfort to the Dying was featured in the September Senior Spirit Newsletter. Blog posting provided by the Society of Certified Senior Advisors.